The government has spelled relief for middle class people by reducing their tax liability. Through the Finance Bill, the government reduced the tax rate from 10% to 5% for salaried individuals falling in the income range of Rs 2.5 lakh to Rs 5 lakh. A uniform tax benefit of Rs 12,500 will be available to all other income groups. Rebate on tax available to salaried people has taken a hit. For individuals with income up to Rs 3.5 lakh, the tax rebate has been brought down from Rs 5,000 to Rs 2,500. “It will result in nil tax liability for individuals whose income does not exceed Rs 3 lakh and tax liability of Rs 2,500 for those within the tax bracket of Rs 3 lakh and Rs 3.5 lakh, without taking advantage of any deduction under Chapter VI,” says Chetan Chandak, Head of Tax Research, H&R Block India. The Finance Bill has introduced new surcharge rates for super-rich taxpayers. Taxpayers who fall in the income group of Rs 50 lakh to Rs 1 crore will have to pay a surcharge @10% while those with income more than Rs 1 crore will be liable to pay a surcharge @15%. Borrowers of home loan were enjoying full tax deduction till March 2017 on interest they paid on their loan. They were able to claim such interest as loss under any head of income except income from house property. However, “from this Financial Year, the loss they can claim has been restricted to Rs 2 lakh while any surplus loss can be carried forward up to eight assessment years and can be adjusted against rental income only,” says Chandak. The government has made it compulsory for people to quote their Aadhaar details in their ITR. Aadhaar has also been made mandatory for fresh PAN applications while existing PAN holders have been asked to link their PAN to Aadhaar. The Income Tax Department has also taken an important step towards simplifying the tax-filing process. It has introduced a new one page ITR form for those who have income not exceeding Rs 50 lakh and rental income from not more than one house property. From this FY, one needs to hold a property only for 2 years for its holding period to be considered long term. It means that you need to hold the property only for 2 years to pay tax on your capital gains at a reduced rate of 20%. Not just the holding period has been reduced to two years, but the base year for calculating indexation of cost has also been changed to give even better tax gains. “The base year has been shifted from April 1,1981 to April 1, 2001. This will result in lower profits on sale and therefore reduced taxability,” informs Chandak. If you live in a rented accommodation and pay a high amount of rent, you will have to deduct & submit TDS. As per the new provision, if your monthly rental payments exceed Rs 50,000, then you will have to deduct 5% TDS. It will be effective from June 1, 2017. The government not only wants to make tax filing easy for you, but also ensure that everyone files on time. Therefore, it has introduced new provisions to punish late filers and defaulters. “In the AY2017-18, if you delay your return, you may be asked to pay a late filing fee up to Rs 10,000. However, this fee will be less if the delayed return is filed by 31st December. 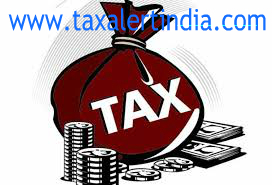 Small taxpayers or those with income up to Rs 5 lakh may be asked to pay Rs 1,000 only,” says Chandak. Earlier, taxpayers were given a timeframe of 2 years to revise their tax return. However, from this FY, the time period has been reduced to one year only from the end of assessment year or before assessment is completed.